Did you know that a Blue Haven pool & spa has been a popular mainstay of Southern California’s backyard culture since the Fifties? 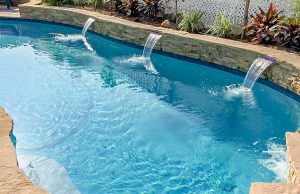 Over the decades, throughout the Riverside-San Bernardino-Ontario region, thousands of families seeking a custom pool contractor have turned to the professionals behind our widely recognized Diving Lady symbol. Your family’s new inground pool can come from Blue Haven as well! Our team will work hard to design the perfect aquatic playground for your backyard space, family lifestyle, and project budget. In addition to a beautiful pool or major remodel, we can create a complete backdrop for sun-splashed outdoor living. Choose amenities ranging from custom-built fire pits to multi-level decking configured with steps, plateaus, and various activity areas. Naturally, budgets enter the equation when shopping for a concrete (gunite/shotcrete) pool. Our designers understand this and develop a plan that balances the contract price with each client’s project wish list. Designers will review your preferences for size, shape, style, as well as plans for using your aquatic retreat for various activities. To help you make informed decisions about your project and the options to include, they will explain swimming pool pricing factors that come into play. You will also receive a detailed, written bid that will spell out the phased payment schedule. 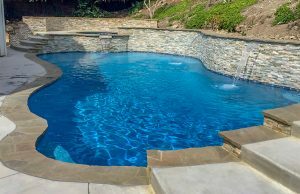 When it comes to helping clients secure funds for a new pool, Blue Haven leads among Inland Empire pool contractors. Drawing upon the national Blue Haven network of home-improvement lenders, an in-house loan expert helps potential pool buyers with the finance-application process. Our goal is to help match clients with the most suitable lender for their credit profile. Here in the Golden State, these companies offer unsecured programs with fixed rates, no prepayment penalties, and terms up to 180 months (oac). 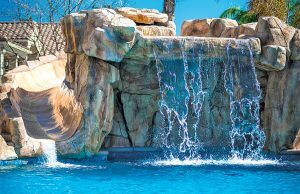 When investing in a custom pool in the Inland Empire, don’t overlook the expenses involved in owning and operating the amenity. In particular, consider utility rates, as well as future needs, such as replastering and replacing worn-out components. That’s why it makes good sense to choose a pool contractor that offers water- and energy-efficient technology and options that deliver many years of performance. Equipping your inground pool with options that make ownership more economical will save you money over the long run. Our inground pool designers will collaborate with you in developing a plan to meet your needs for this major outdoor addition. We welcome questions about any aspect of building a pool in your backyard—call us today.